1810 with some alterations 1868; small 20th century additions. 2-storey, 3-bay, rectangular-plan classical church with pedimented gables, tall rectangular windows and bays divided by plain pilasters. Painted droved sandstone ashlar to front elevation with rendered side elevations and painted polished sandstone ashlar dressings. 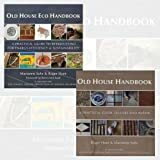 Base course; eaves course; raised tabbed window margins to front elevation and upper floor of side elevations; plain raised ashlar margins to lower side elevations and rear; round-arched windows to rear. FURTHER DETAILS: principal gabled elevation facing street to N. 2-leaf timber panelled front door in round-arch stop-chamfered recess with prominent keystone bearing monogram N J C and arched foliate band supported on decorative brackets; regular fenestration with taller windows to outer bays; blind oculus to pediment. Side elevations to E and W with possibly later paired windows at ground and tall windows to upper floor. 5 round-arched windows to upper floor of S elevation and pedimented gable with oculus. 2 small 20th century outshots to W and S.
Border-glazed lights. Ashlar-coped skews. Short gablehead stacks with yellow clay cans. Slate roof. INTERIOR: Church in upper hall; lower floor contains church hall, meeting room, kitchen and Warden's flat. Church: large room with decorative cornicing and ceiling roses; table pulpit recessed behind depressed arch springing from slender Corinithian pilasters; 3 round-arched lights to rear of recess with very elongated half columns to each side and stained glass by W and J J Kier to design by Sir Noel Paton. Organ to left of pulpit recess. Lower floor is split-level with kitchen and office nearest front door and hall 5 steps down to hall; timber-boarded panelling to dado in hall. BOUNDARY WALL AND RAILINGS: coped whinstone boundary wall to W and S and flower-headed cast-iron railings and gate to N, enclosing small garden. A good example of an early Scottish Methodist chapel, occupying a prominent position on George Street. 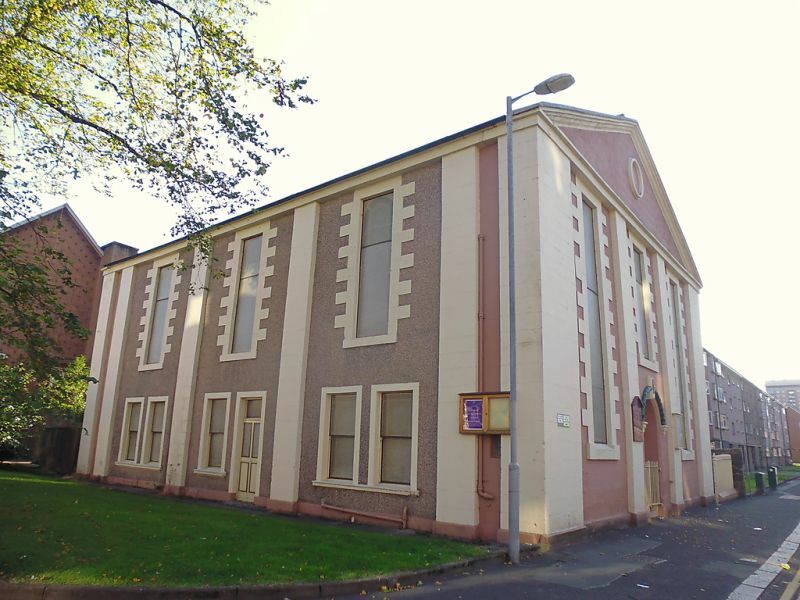 The New Jerusalem Church was built as a Methodist chapel in 1810 and was purchased by the Swedenborgian Church in 1860 for £600, being formally opened and dedicated on 15th September 1861. In 1868 the interior was remodelled and new pews, pulpit and stained glass windows were instated. The stained glass cost £103 and was designed by the artist Sir Noel Paton RSA, whose parents belonged to the congregation. Methodist churches were usually built with a lower hall for meetings and secular events so it seems likely that the building was always on two levels, but the paired ground floor windows may be a later alteration as they do not seem to be quite in keeping with the style of the rest of the building. The OS town plan shows 3 windows across the rear gable, so it is likely that the 5 round-arched windows were inserted during the 1868 alterations, as would have been the pulpit recess and the small rooms to each side of it.